Welcome to a unique concert in Stockholm Concert Hall with Martin Fröst playing music from his concert performances Genesis and Retrotopia. In addition to Martin Fröst, participants include the Swedish Chamber Orchestra, Adolf Fredrik Girls Choir and clarinettists Magnus Holmander and Sandra Ibarreche, who both took part in the show Genesis with Fröst and the Royal Stockholm Philharmonic Orchestra in 2015, as well as students from the Royal College of Music in Stockholm. The concert is the launch of the Martin Fröst Foundation and all revenue will support its endeavours. The objective of the foundation is for more children and young people all over the world to have the opportunity to study music and have access to instruments. The foundation will focus its work in particular on regions that have cultural resources but lack financial opportunities. 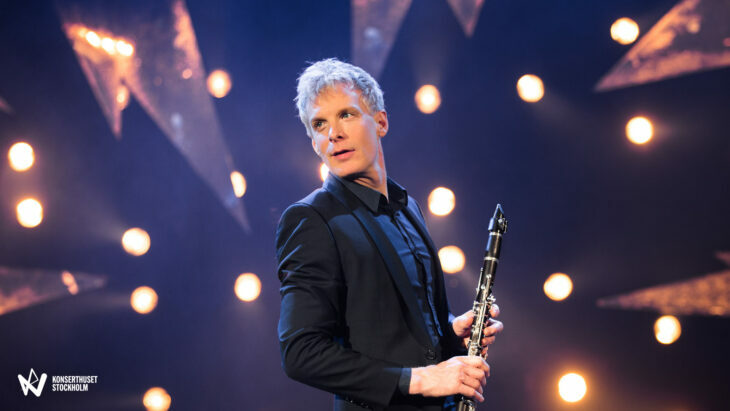 The foundation will also work to support the development of the classical concert form – something which Martin Fröst works with constantly in his activities as an artist.